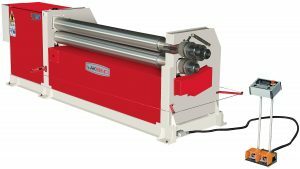 Rolling machines can be a few configurations but the most popular are plate rolls and section rolls or angle rolls. 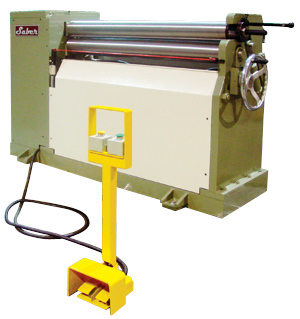 Plate rolls generally roll material horizontally.These machine usually have 3 rolls or 4 roll configurations. 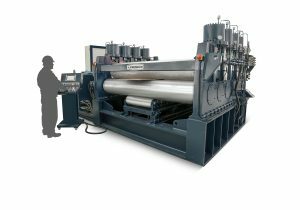 On a three roll, the material passes through a top roll and two bottom rolls. Once the material is centered under the top roll, the material is then pinched by one of the top rolls called the pinch roll. The material now has traction to move forward even more until its over the form roll. 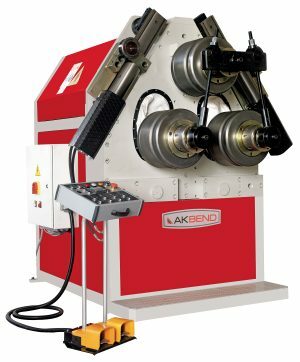 The form roll is powered upward to create a prebend. 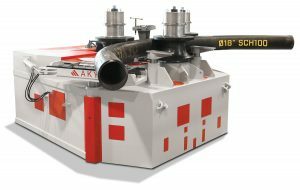 Once the material yields or bends, it can now run all the way through the machine, creating a radius in the material. 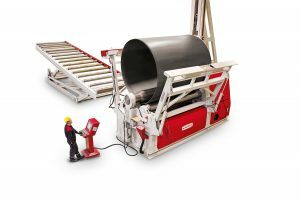 The material can be ran back and forth until desired radius or circle is made. 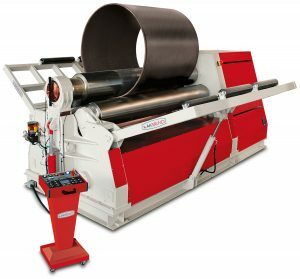 The 4 roll machine is similar but the pinch roll is directly under the top roll and there would be form rolls in front and behind it. These machines have been more popular in the past 20 years. They allow less passes to get desired radius. They also are able to roll tighter diameters. 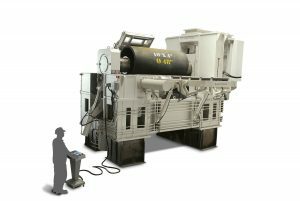 These are a safer machine when building large diameter parts because the material is in a constant pinch creating less parts slipping. 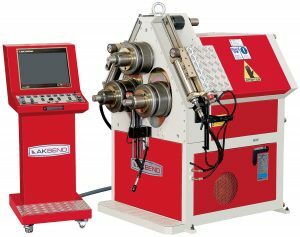 Section or angle rolls allow for rolling different structural shapes, such as angle iron, channel iron, T-shapes, beams, even round and square tubes with correct tooling of course. Here again, its one of those machines that has its place in the market.